Trina and Ruben Flores didn’t set out to develop a niche when they launched Bags by Rubbertree, but mass production wasn’t in the plan, either. This much they were sure of: “We knew from day one that we wanted to make good pieces that will last,” Trina says. 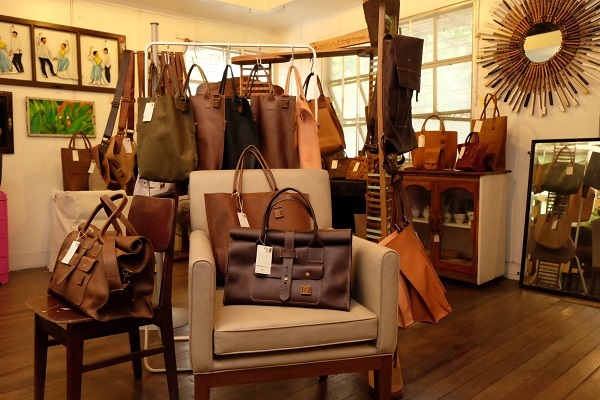 Their leather goods have widespread appeal, but “our process drives us towards a tighter market that’s discerning of make and material,” she says. The hide they pick is very deliberate—they prefer leather that has the natural grain intact, for example—and their bag-making methodology involves a lot of tinkering and experimentation—she and Ruben do all the hand-cutting and other prep work themselves before hand-stitching their pieces. They’re also the ones putting the prototypes through stress tests. “We make sure that before we set out to have a new design available, that we’ve tested it and have ensured that it is built to be brought around and traveled with,” she says. “We look at making [our products] as a very engaging and evolving practice,” she says. “There’s actually no final design for all our pieces; they’re all constantly evolving.” Details that are introduced in one bag will often find their way to their other pieces, which collectively gives Rubbertree’s creations a kind of coherence. The couple is active on social media, as visual avenues like Instagram serve as a window into their meticulous methods and the goings-on in their studio. “Some like being kept abreast with what we have on-hand, and some like to see how we make the pieces,” she says. “In your community, honesty goes a long way. In setups such as ours, clients tend to seek you out, so we keep the exchanges real.” Trina advises entrepreneurs to enjoy virtual connections made with customers online. These connections lay a solid foundation for relationships when they meet in person. “We are very practical folk, and this mindset and lifestyle translates into our designs,” says Trina. If their bags look simple, that’s only because they have been carefully edited down: there are no excess of pockets telling you where to put what; no lining to keep you from appreciating the hide’s texture; no bulky, clunky bag shapes. This article originally appeared in the August 2015 issue of Entrepreneur Philippines magazine. 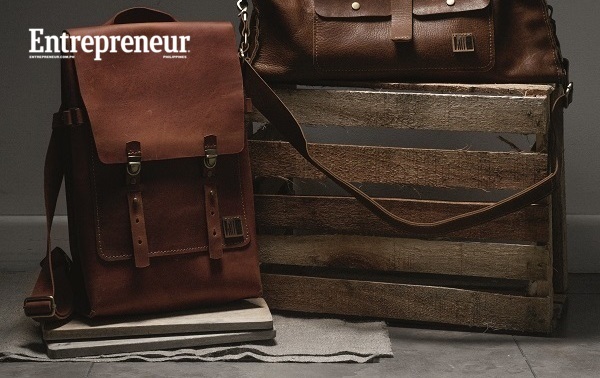 Minor edits have been done by Entrepreneur.com.ph.